There’s seldom a shortage of a few dedicated techies on standby ready to dissect and examine the nitty gritty interior of the GUI that the average Joe downloads and installs. A little look under the bonnet of Facebook’s new exclusively-IM app for iOS and Android reveals the hallmarks of something even more significant lurking around inside. 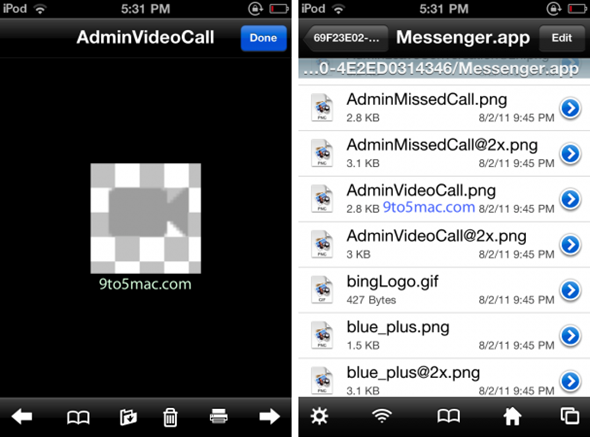 Even if you’ve never SSH’d into your device or indeed jailbroken, you can see the icon images which read "AdminVideoCall" reveal much more than just a hint that video conferencing is on the next bus. With soon-to-be-Microsoft’s Skype everywhere at the moment, it’s long since been obvious that we will see many more platforms from which to keep in touch real-time with those that matter, as well as those that don’t. Facebook has been the most prominent company to integrate with Skype over the last month or so. The Skype desktop application has been updated to include a fair amount of Facebook features, with more expected in the near future. 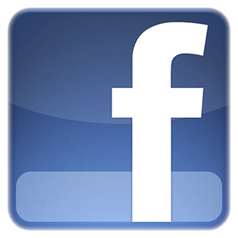 In addition, Facebook has also welcomed Skype into it’s main Social networking platform, with the feature implementation also currently ongoing. It will be interesting to see how Facebook’s new Messenger app is received in the coming weeks. The world’s number one social network hasn’t had a great year in terms of mobile competence, despite development on mobile devices highlighted as a top priority for this year. The native iOS version has been the subject of much scorn, with the functioning so bad at times that many have opted to use the web-based mobile version. Early indications are good, with the average user rating of Facebook Messenger at 4/5 on the App Store, and although the same cannot be said for the Android Market due to lack of reviews, the Facebook team will be looking to learn from past mistakes and keep this app as hiccup-free as possible. With Apple preparing to roll out iMessage with the forthcoming iOS 5, seen by many as the Cupertino company’s answer to the likes of BlackBerry Messenger, there will certainly be a push for power – especially if Google decides to bring in a proper Google Talk/Google+ Chat app to the table. It is quite possible that BlackBerry’s service could wind up on the digital graveyard due to the versatility of the newer services such as iMessage which will allow users to communicate through any iDevice running iOS5.